Gracie is a favorite of all who know her. She is one of the top production dams of our herd and keeps her family close around her. She's a great mom and even babysits for some of the other moms. Although her blanket is considered to be fawn, many say she a 'fancy', boasting shades of more than 3 colors. The results of her shading is some of the most beautiful yarn ever. She is the mom to offspring of many colors. All have wonderful fleece and many are award winners in the show ring and fleece shows. Gracie's latest edition is a very handsome little fawn boy. 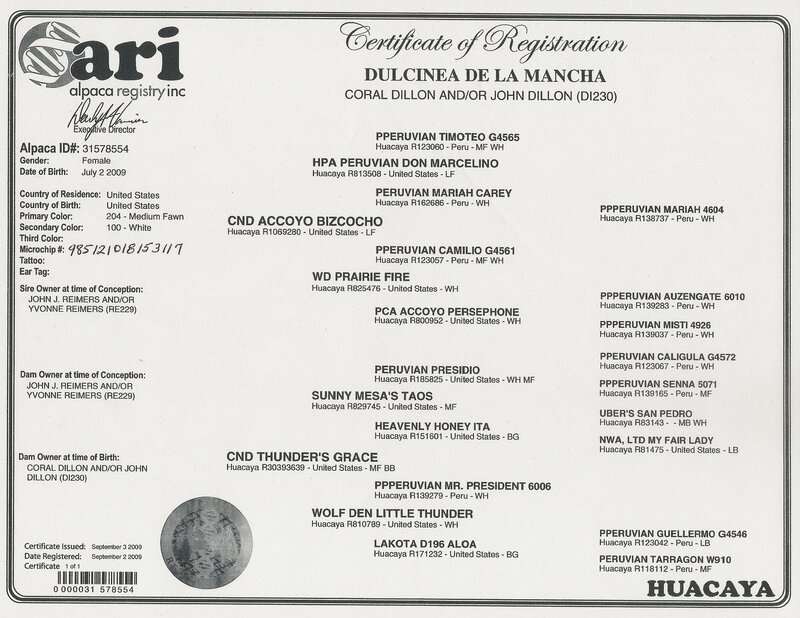 His sire is Peruvian Giacomo, son of MFI Brock. As with most of Gracie's previous offspring, we expect this little guy to be an award winner! 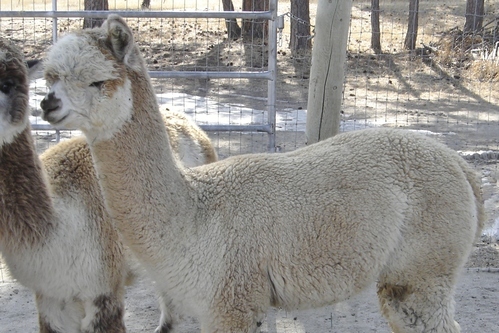 Dulcinea was one of the first crias born on our ranch. We had high expectations for our first born sired by CND Accoyo Bizcocho and we were not disappointed. 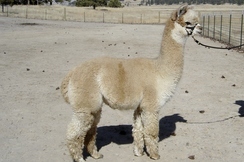 As a yearling, she placed high in the ring, fleece shows and spin-offs. At her first show, the judge said he was impressed with her the minute she walked into the ring. She placed 3rd behind 2 big name west coast farms and in front of another big Colorado farm. We couldn't have been more pleased. 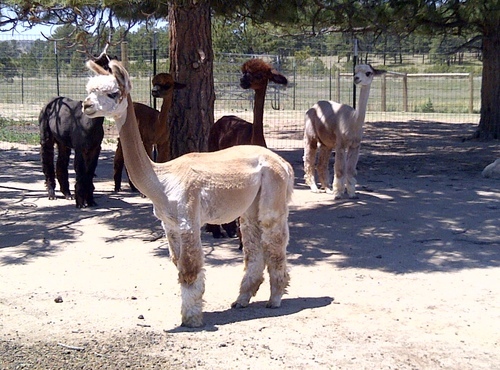 Dulci's first cria was a medium fawn female with an enormous amount of luxurious fiber for such a little girl. She sold as a yearling but is close by, so we get to watch her grow up. Dulci's second cria was a light fawn male. He placed 6th out of 15 at GWSS 2015. It was an incredible, competitive showing of Light Fawn juvenile males. He has continued to impress judges in the show ring and in the fleece shows! Dulcinea's 2016 cria is a dark brown male with black points, sired by Dundee's The Lad. He Is a ribbon winner in Halter & Walking Fleece at 4 AOA shows in 2017 & 2018 and took RC in WF at MOPACA 2018. A great start to his career!